Enough to treat 16,500 gallons of water. Product includes: manufactures mixing ratios. 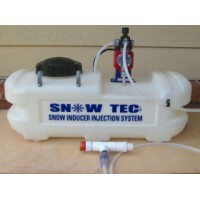 SOLD FOR HOME SNOW MAKING USES ONLY. US sales ONLY. NO international sales.